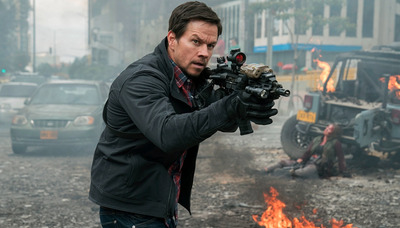 Director Peter Berg and actor Mark Wahlberg’s fourth movie together, “Mile 22,” is being slammed by critics for its messy, incoherent plot. With a 24% Rotten Tomatoes critic score, the movie is one of the worst reviewed of Berg and Wahlberg’s careers, and of this summer. The new action movie “Mile 22” marks director Peter Berg’s fourth movie with actor Mark Wahlberg – and, according to critics, it’s easily the duo’s worst. But if you ask most critics, the plot is an incoherent mess that takes advantage of America’s current political climate with bad results. The movie has a 24% Rotten Tomatoes critic score as of Friday morning – one of the worst-reviewed movies of the summer, and of Wahlberg and Berg’s careers. “We both liked having this action franchise in theory … and not having to tell a true story,” he added.